The book provides the reader with a complete picture of international and regional developments in the area of biotechnology, plant variety protection and patent protection (these topics feature very prominently in the current discussion on the future direction of the TRIPs Agreement), as well as the scope of the patent right in respect of claims of invention and research and development and places these developments in the context of international trade and enforcement mechanism that members of the WTO are required to incorporate. Part IV gives an outlook on possible future development and mechanisms for the protection of incremential innovation that are feasible for developing countries and small industries. The book therefore covers the edges of the current IP system (with plant varieties and utility models) as well as the more `mainstream¿ discussion in the developed nations. All topics are of international relevancy, while they are also of relevance and interest to Asia. 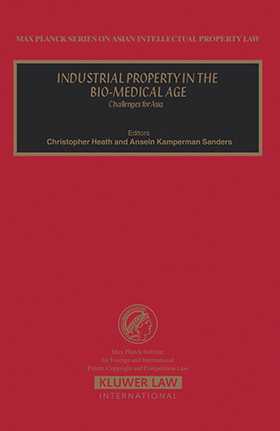 The book is part of the Max Planck Series on Asian Intellectual Property Law.